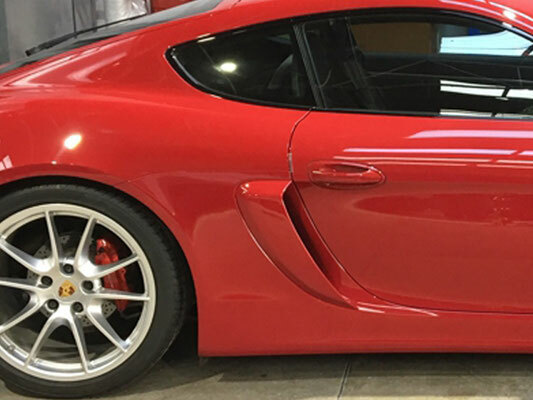 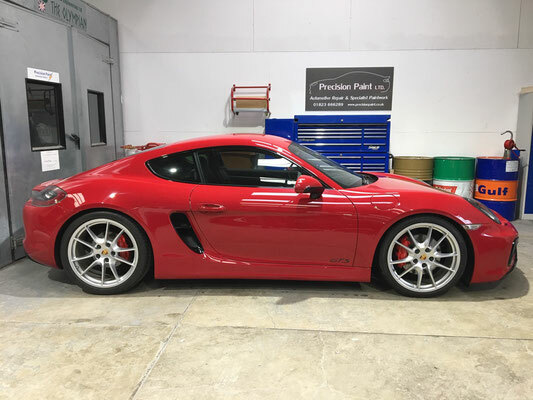 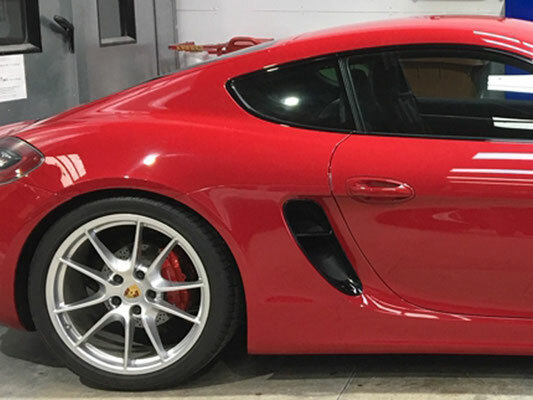 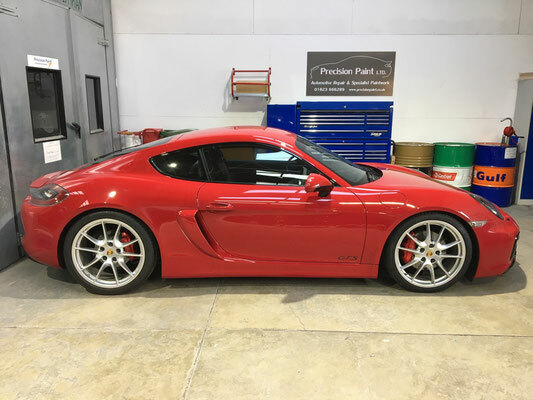 In early 2019 the Precision Paint team worked on adding carbon fiber air ducts to this Porche Caymen. 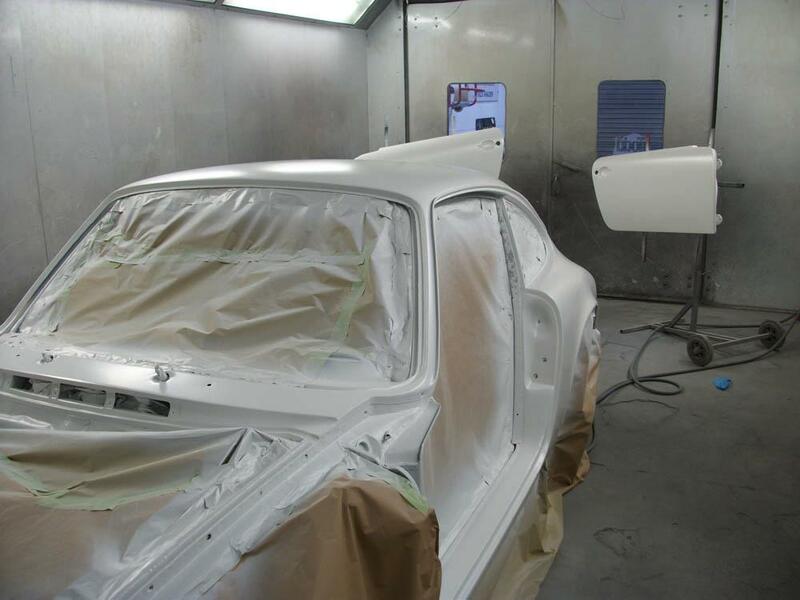 Here you can see the before and after shots, showing the addition of the body paint matching air ducts. 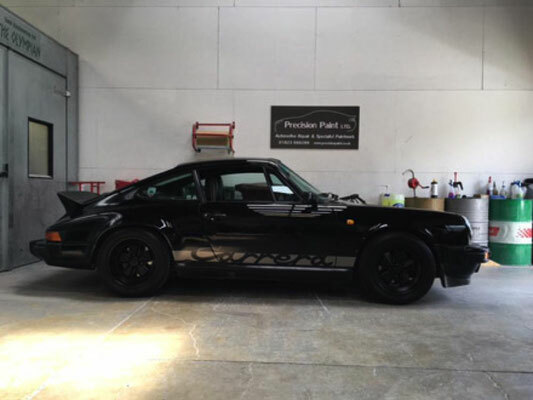 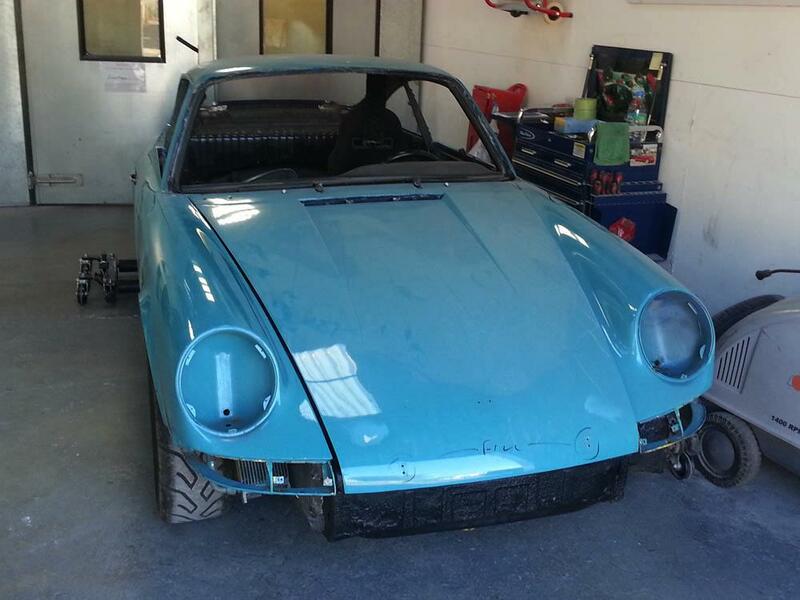 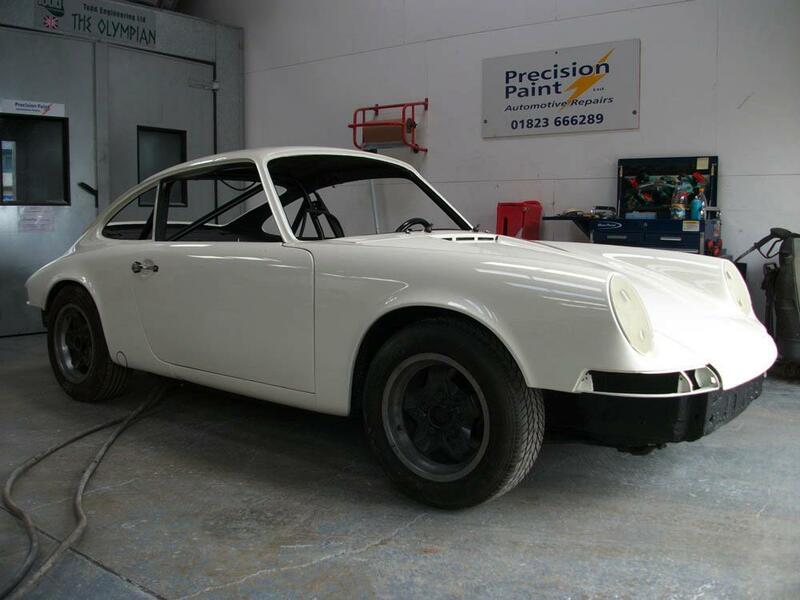 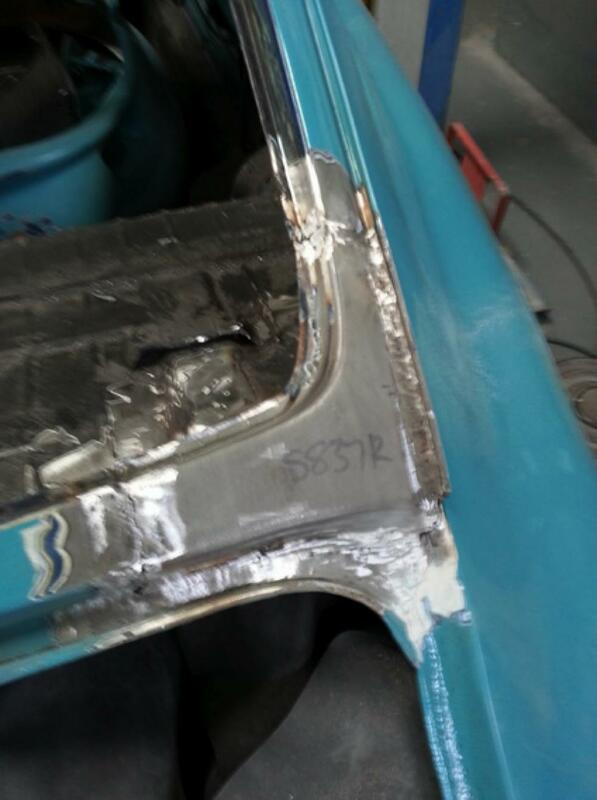 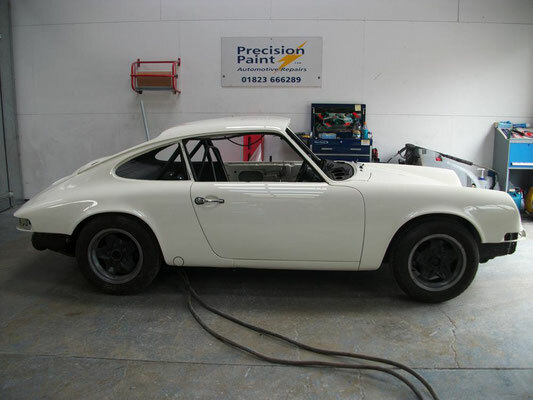 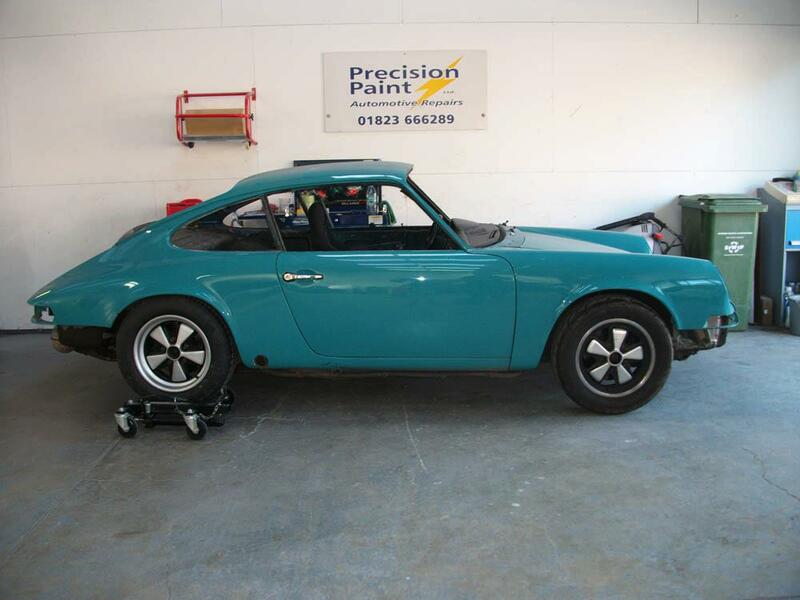 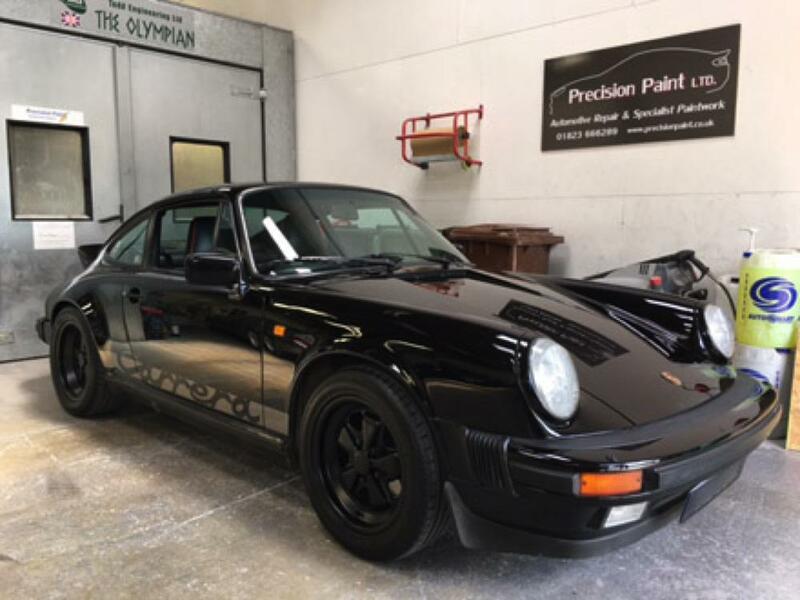 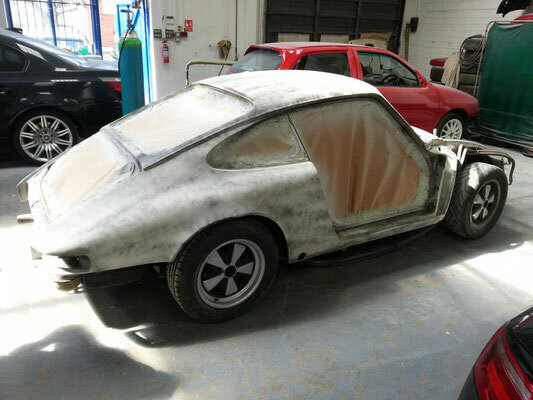 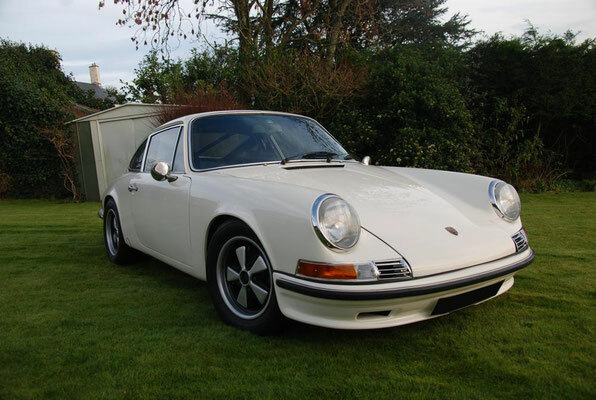 Our customer wanted this vintage race car to be refurbished so that they could use it as a spectacular road car. 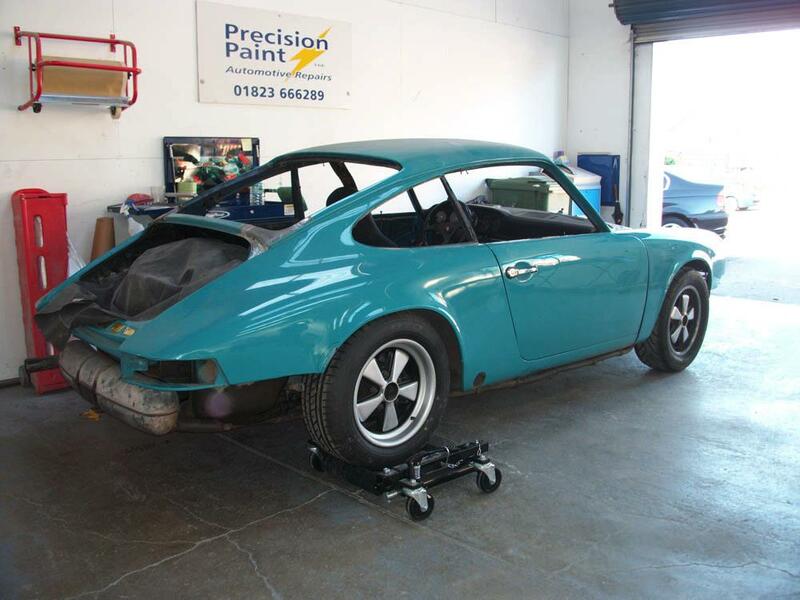 The colour was also re-vamped from the old turquoise blue to a more classic ‘off white’. 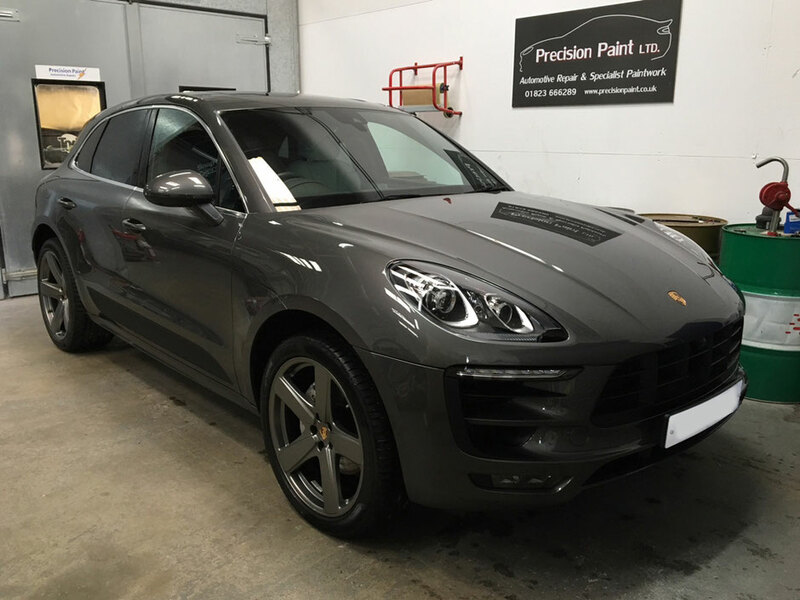 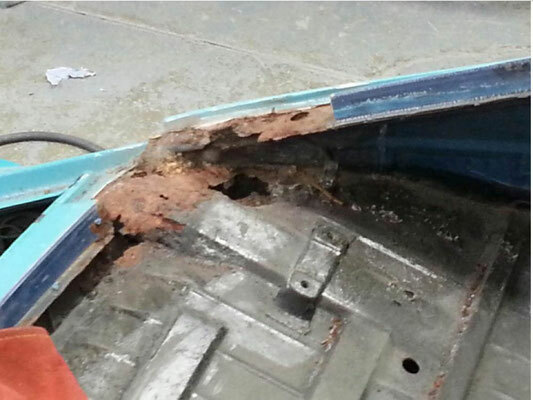 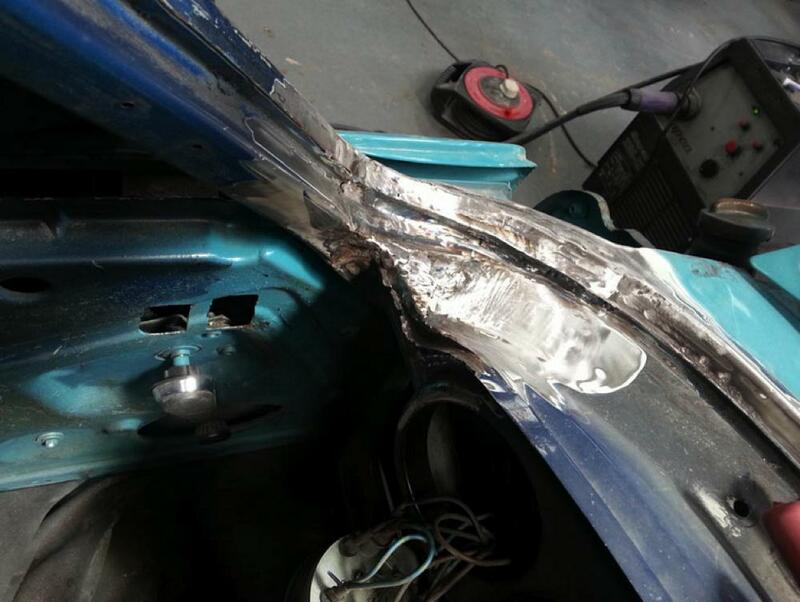 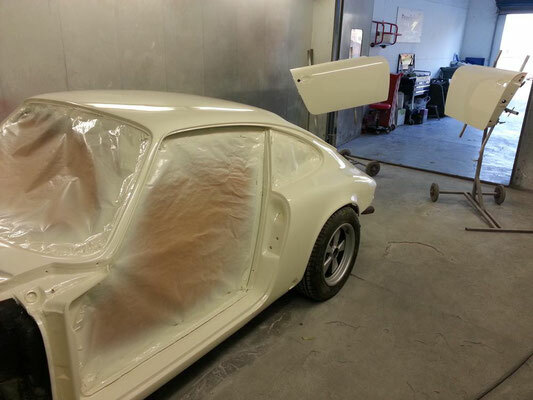 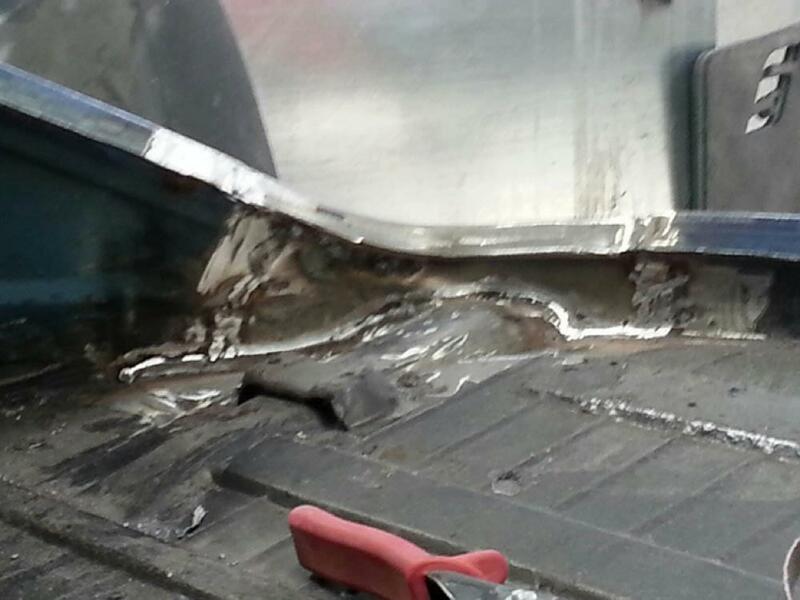 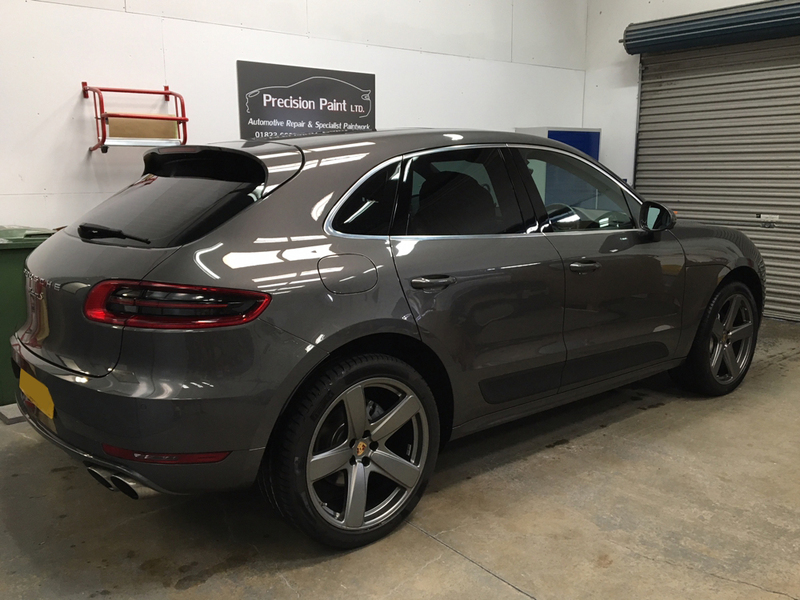 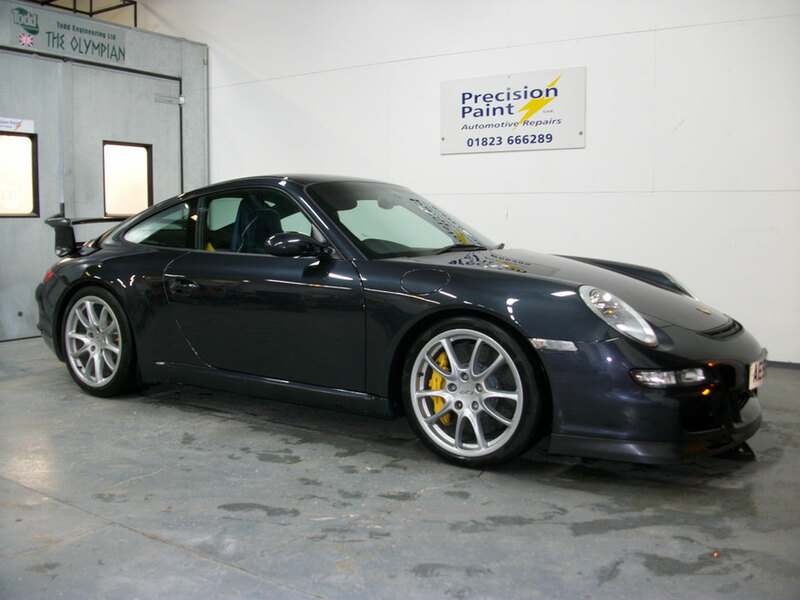 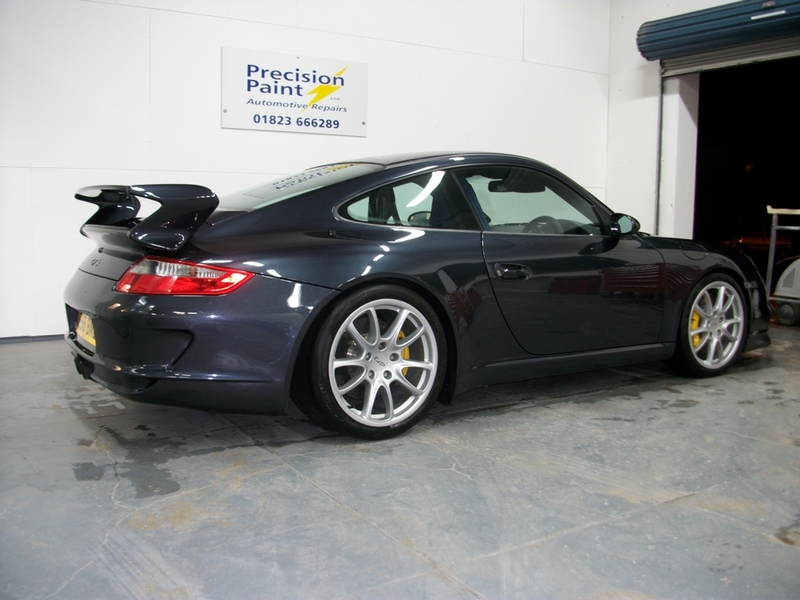 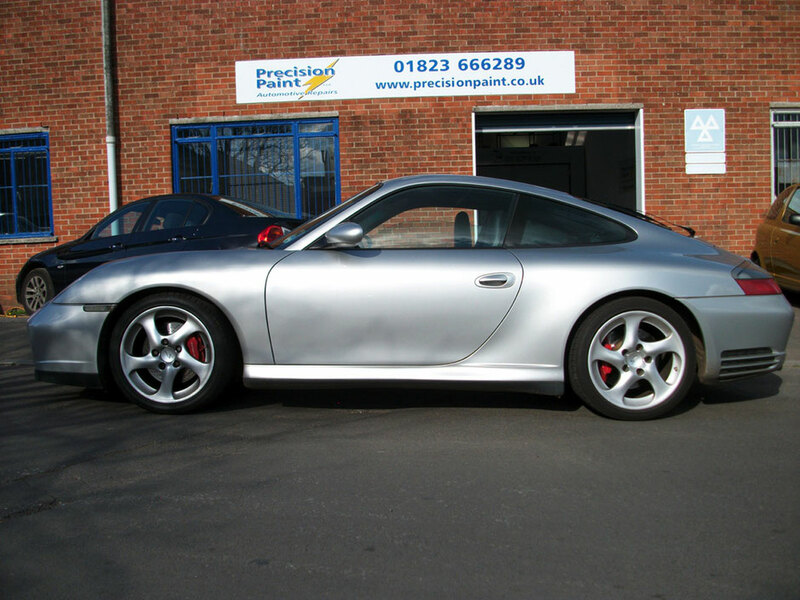 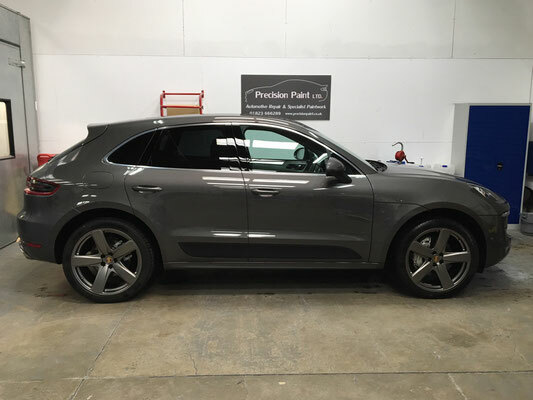 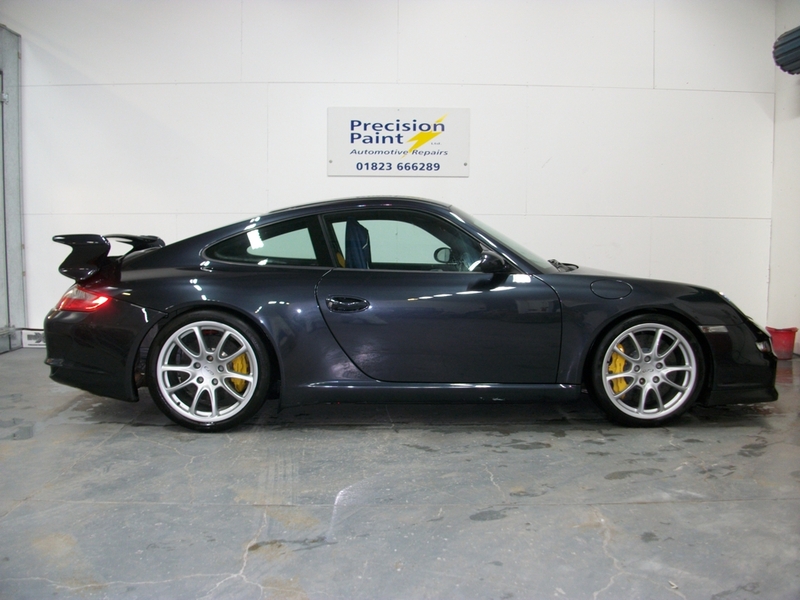 The Porsche had a lot of rust and corrosion, particularly on the floor, which was completely replaced. 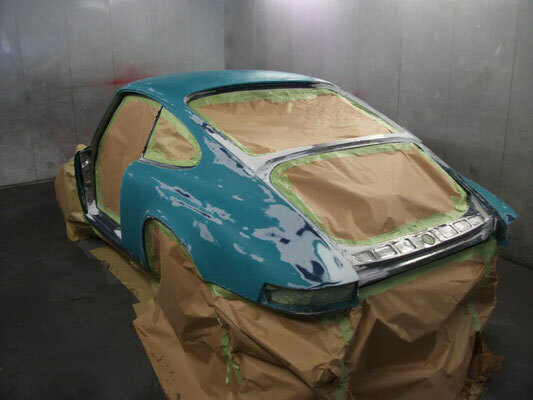 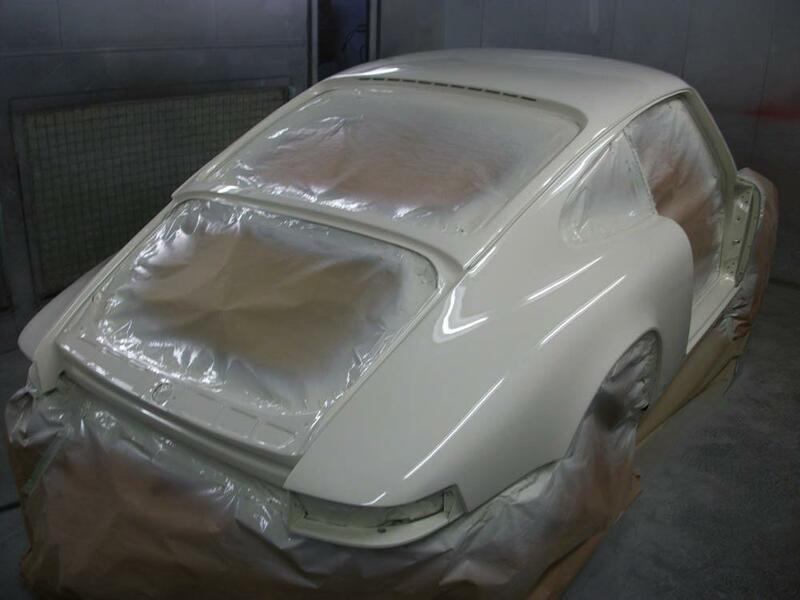 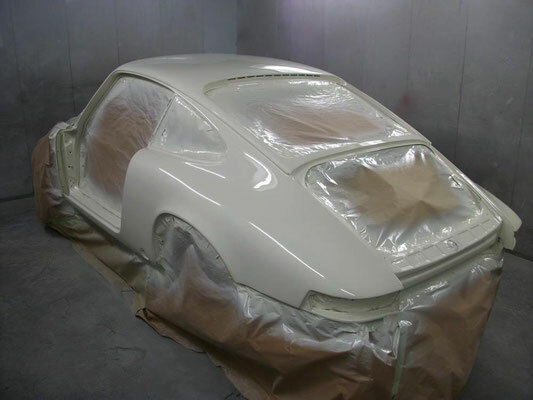 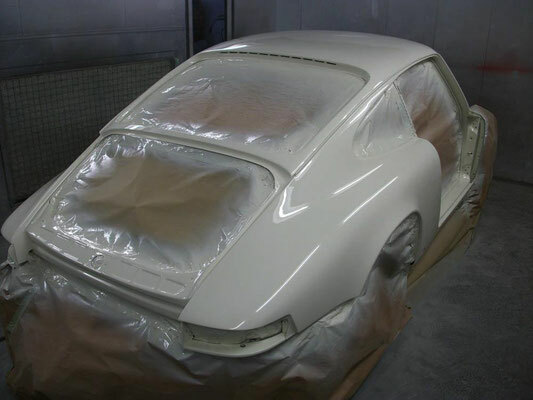 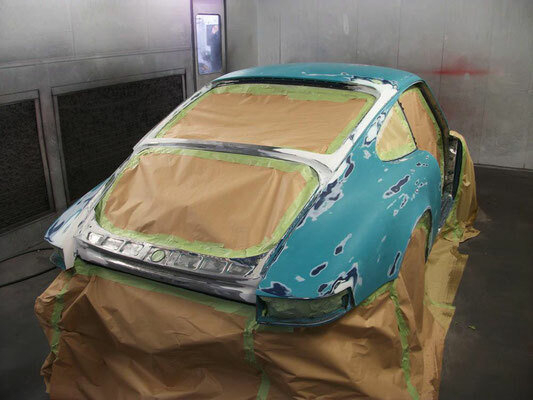 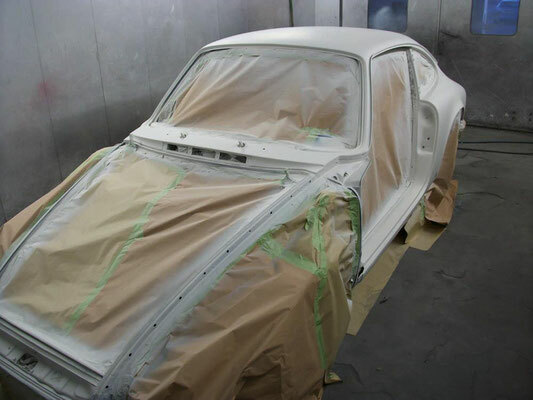 Other areas of corrosion were sanded down and re-worked to get the body work to a good condition for the application of primer and top coat. 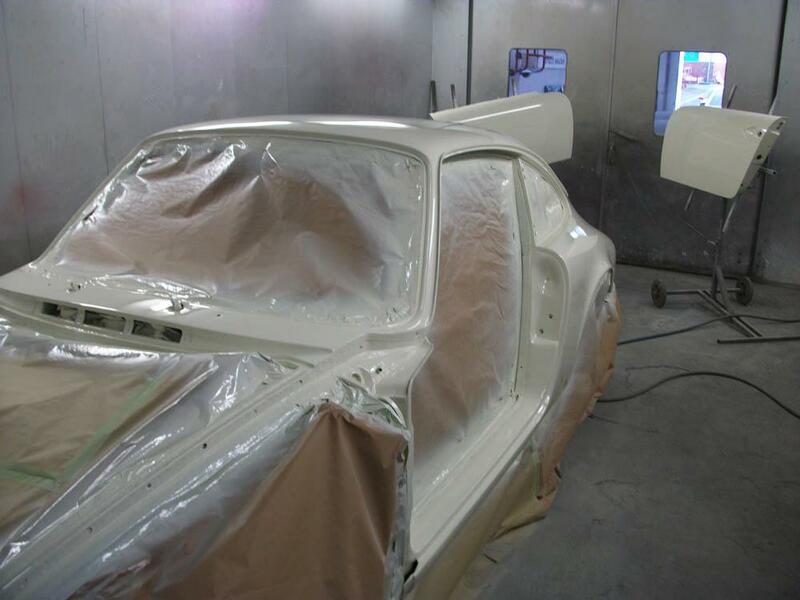 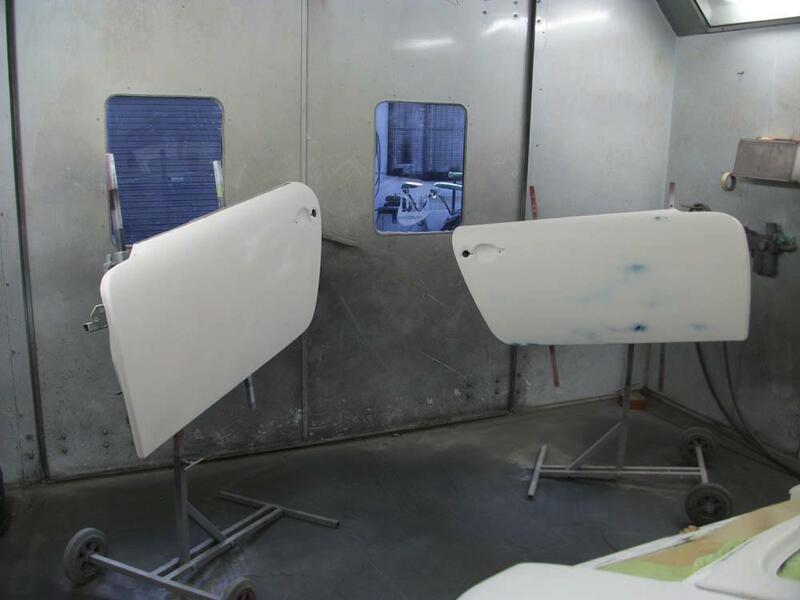 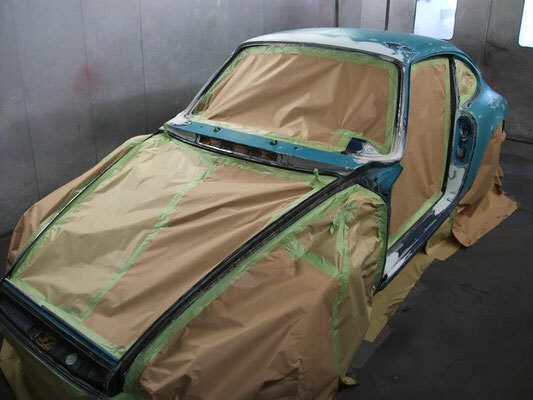 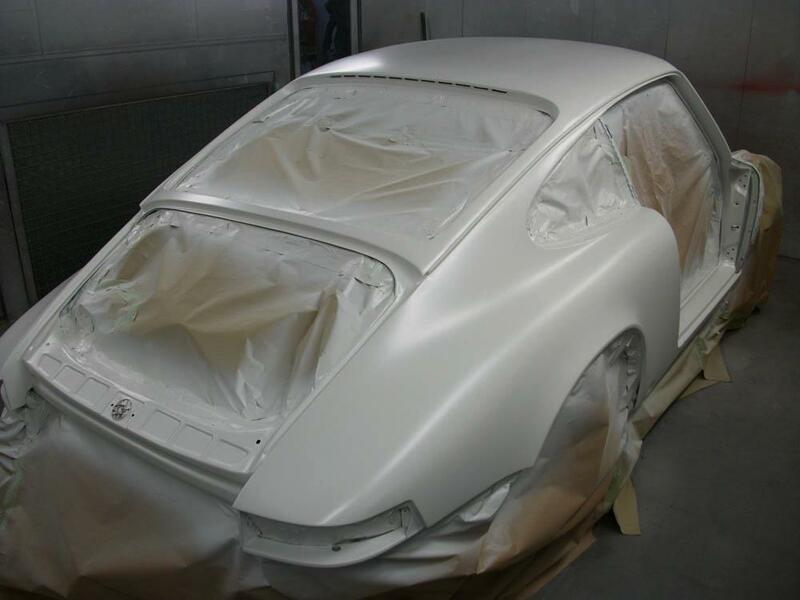 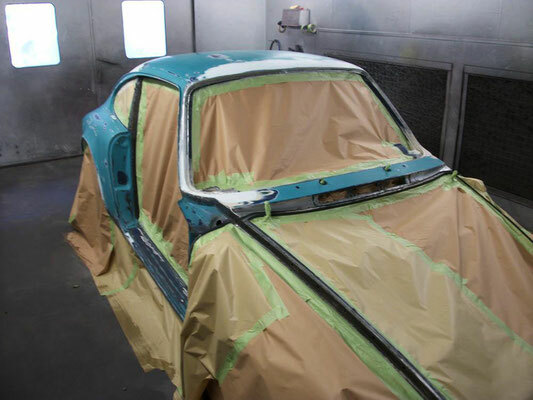 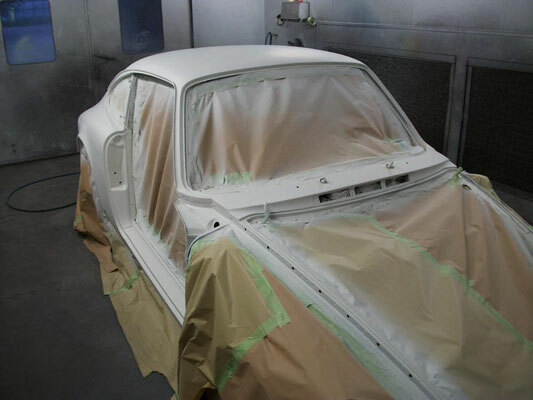 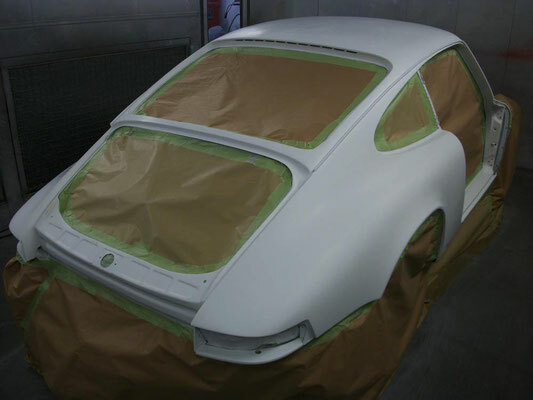 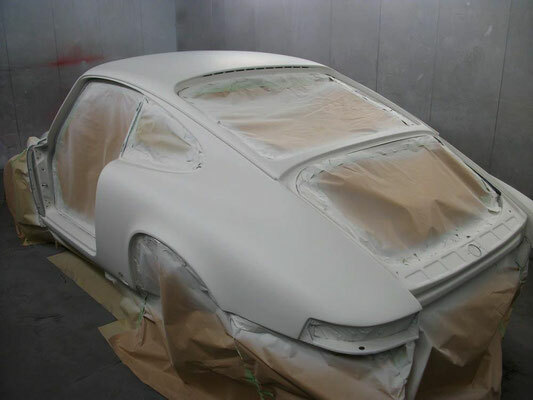 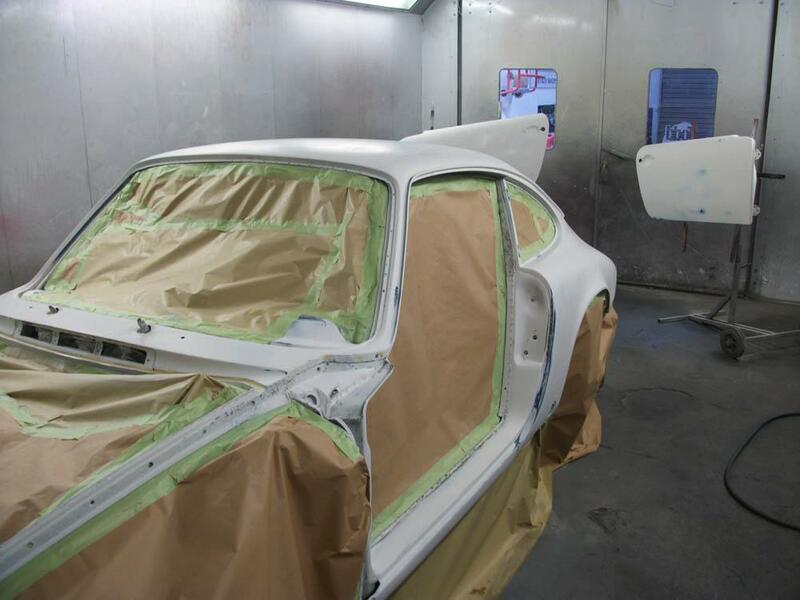 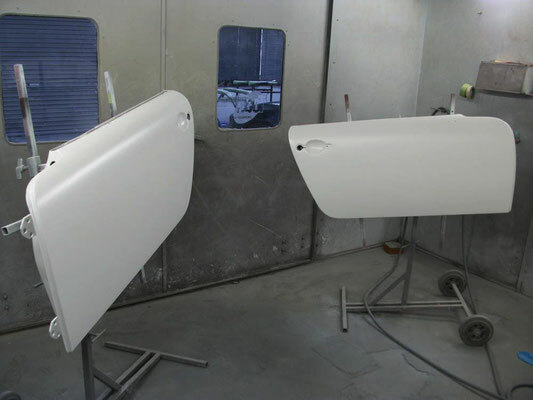 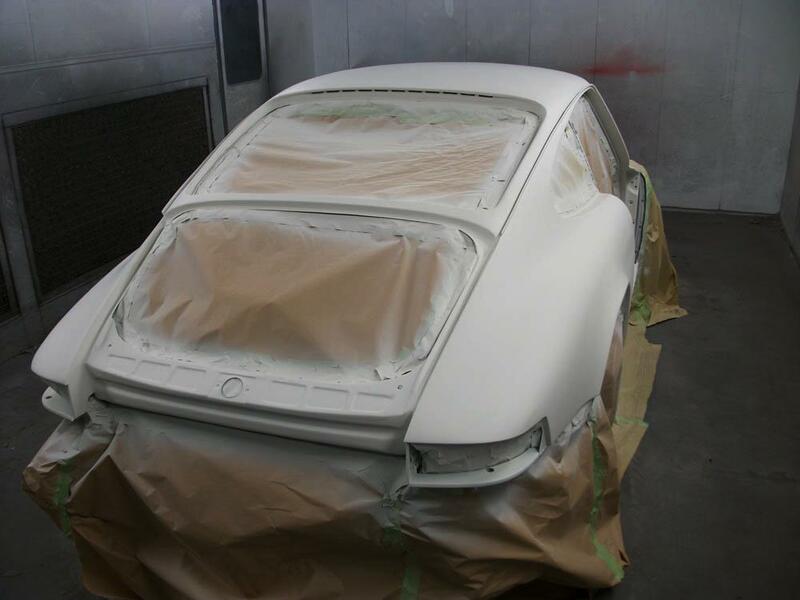 This labour intensive project entailed two stages of primer, before the new top coat was applied.